You can solve a lot of problems just by listening to your customers. A few years ago, I followed up with Sue Thompson, the Associate Director of Transportation and Parking at Oregon Health and Science University. Her team had just attended my Delivering Next Level Service course, and I wanted to see how things were going. Thompson is very diligent about following up with her team after training to support the concepts they learned. However, she told me that her hectic schedule made it difficult to touch base with each employee as often as she’d like to. This conversation spurred the creation of my Customer Service Tip of the Week email. 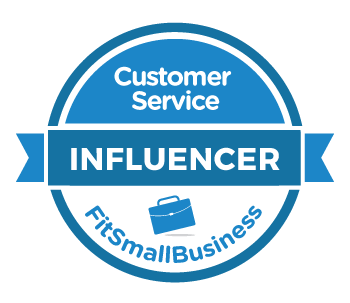 Each weekly email contains a single customer service tip that’s based on my training class. Most of us had a combination locker in high school. Back then, you could open the locker in a matter of seconds. You knew the combination so well it was practically burned into your muscle memory. It would likely be a different story if you stood in front of that locker today. Most of us wouldn’t be able to open our old locker even if the combination was exactly the same. That’s because we store most information on a use it or lose it basis. Frequent use and repetition makes that knowledge easily accessible. Infrequent use causes the information to slip farther and farther back in our memories. 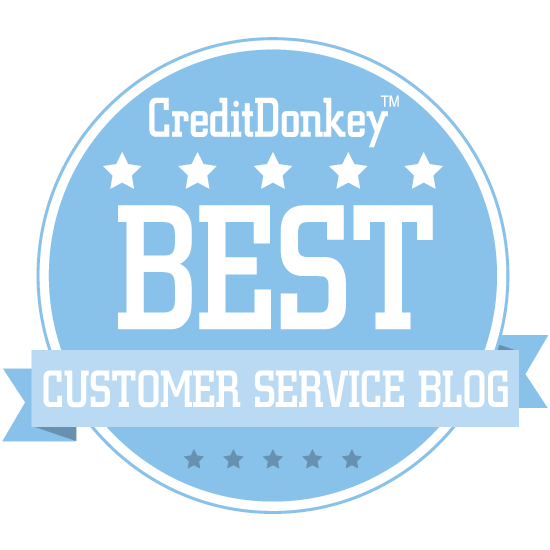 Customer service reminders can help keep fundamental concepts top of mind. Sue Thompson has all of her employees subscribe to the free weekly tips. This supplements the frequent one-on-one and team check-ins that she and her leadership team do with the department. Gina, a Customer Care Director, uses the tips to generate discussion topics for her daily team huddle meetings. She often forwards the tips to her team when sharing reminders about a particular topic. Mark Berlin, Guest Services Director at the USS Midway Museum, connects the tips to specific customer service challenges. This reminds employees about ways they can use them to resolve problems. Lupe Zepeda, Customer Service Manager at CSA Travel Protection, uses the tips for ideas that can improve customer satisfaction. For example, her team stocked up on branded note cards after reading this tip on the power of handwritten notes. Jeremy Watkin, Director of Customer Service at Phone.com, forwards tips to his team when they address a specific issue or concept he wants to reinforce. With tips such as this, I find that even if I’ve heard them a thousand times, they help tune my mind and remind me of the behaviors necessary to deliver awesome service to our customers at Phone.com. You'll have better luck serving angry customers if you make them feel like you're on their side. This is called the Partner Technique. Use collaborative words like "We" and "Let's"
It's hard to be upset at someone who wants to help us. Most customers naturally calm down when they realize you are listening to their issue and trying to be helpful. One final note: Being on the customer's side doesn't necessarily mean you aren't on your company's side. It just means that you are making an effort to understand your customer and help them succeed. Get one email, with one tip, once per week. Customers use feelings to form their perception about the service they receive. These feelings are much stronger, and much more important than what actually happened. Service failures can create strong feelings about poor service. Research shows that fixing the problem might not be enough to make the customer feel good again. If we want our customer to feel great, we have to overcorrect. A winery shipped wine to the wrong address. They fixed the problem by sending a new shipment to the correct address and overcorrected by letting the first recipient keep the wine they incorrectly received. A cable repair technician fixed a glitch in the customer’s cable system and then overcorrected by showing the customer how to boost their wifi reception. A technical support agent helped a customer access a locked account and then overcorrected by showing the customer some new features that would save her time. In each of these cases, the customer went from feeling bad about the problem to feeling great about the extra level of service they received. All because of the overcorrect. We're taught to always go the extra mile. You can't go wrong with giving a customer a little extra, right? A free dessert at a restaurant can backfire if the guests are already stuffed or watching their diet. Do they eat something they don’t want or reject such a nice gift? An upgrade to the deluxe package at the car wash can backfire if the customer is in a hurry and finds the smell of air freshener to be sickening. Upgrading an airline passenger's seat to an exit row can backfire if it separates her from the rest of her family. Try to see things through your customer's eyes before giving your customer a little extra. And, when in doubt, ask them first. It shows you care and it might help avoid an uncomfortable situation. Building rapport with customers can be difficult when you're tired. Unfortunately, the fast-paced nature of many customer service jobs wears us out. Continuously jumping from one task to another can ultimately lead to something called Directed Attention Fatigue.